This myth written by me, keeping Native American mythology, ranging from the Pacific Northwest to tribes in the Southeastern United States in mind! Thunderbird and it's arch nemesis! The search in the mountains and the joys! Shocked and confused from listening the last sentence, Kanee tried to question him, having said all this the Thunderbird disappeared with smoke everywhere in the cave and eventually Kanee fell unconscious. He woke up far away from the Thunderbird’s mountain, he had no idea how he found that cave and where it had gone but he still remembered everything Thunderbird told him. Kanee went to his village and told everyone about it, he also told the chief about the spirit’s warning about further unrest in the village, a warning Kanee did not tell the people. Chief Ishi Yahi told him; “Dont panic or worry as we have found a savior that will save this tribe from death and starvation, with its thunder and lightning, our miseries will end.” Kanee also believed that Thunderbird will save them. 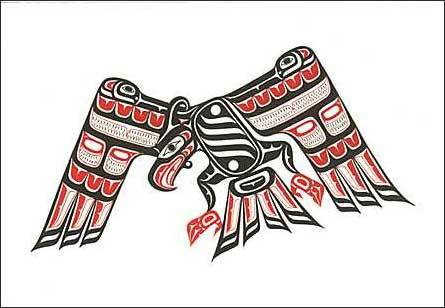 After many months, the people of the Kwakwaka’wakw tribe started idolizing the Thunderbird. They started making its statues with different colours and decoration. The people drew the Thunderbird everywhere in the caves; with every rain in the village their belief of Thunderbird became more deep. 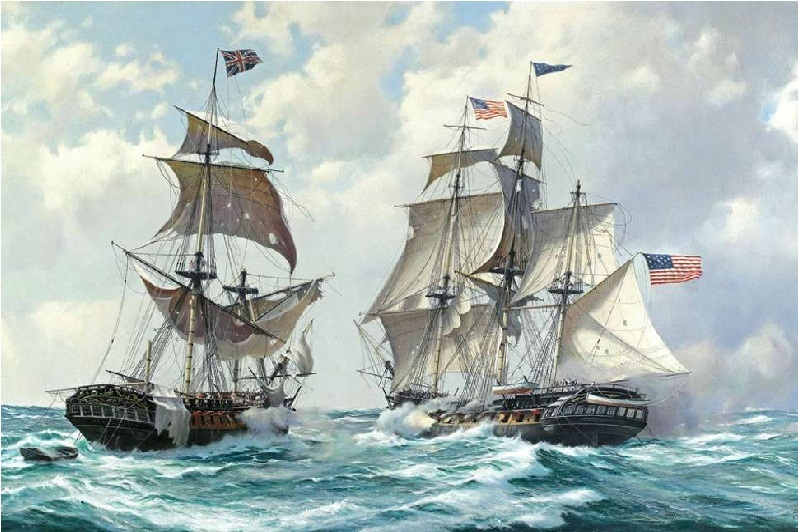 An ordinary day of 1770 a commotion in the ocean like never before occurred, the sound was deafening, unimaginably queer and loud, like a calling , a beckoning. “come my children , come………” They all rushed , gathered on the shore, they saw its wings, large, blue, they saw the ocean succumb to its powers, they sang songs and danced to please their deity but wait, many colorful creatures with hands and feet like them but very ugly they thought were coming out of their Lord….. but wait, it was not the thunder bird, it was a big house on water. The people thought, “what strange magic was this… what strange tribe was this…” They were powerful and killed many of their brothers, they were foes in friendly masks…. the tribe of Kwakwaka’wakw had been invaded! According to various myths, the Thunderbird is a huge bird with an enormous wingspan who directly controls the weather. The bird caused thunder each time it flapped its gigantic wings. It could also cause rainfall and shoot lightning from it’s eye, more importantly it could cause great storms. The Thunderbird was a powerful and intelligent creature. It could cause great storms at will, and was not to be messed with. Depictions of the Thunderbird can be found in many historic literature of various Native American cultures. Many totem poles depicts a Thunderbird perched on the top. The origins of this bird are largely unknown. Some researchers believe that the Thunderbird legend is based on the sightings of real birds, with some even posing the argument that early sightings could have been from descents of the pterodactyl dinosaur species. Because of this, the Thunderbird goes from being merely a mythical creature to potentially also being a cryptid (a creature whose existence is reported but not prove). 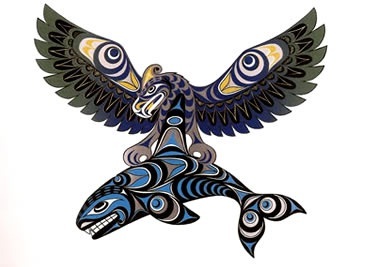 It is generally assumed that Thunderbird is based on real species of birds, especially the Bald Eagle, which is very common on the Northwest Coast of Canada. Could it be? Babar I really like your myth articles . Keep it up! Thank you Raza and Shoaib…. There is some kind of development in the eastern arabian sea near Sri lanka…I read that there is a possibility of a low which might take a route towards western india. Whats your take on that? Is there anything significant? Activity near BOB, expected to move into ARB!